If you are not using the internet to sell or at the very least generate sales leads, you are missing a huge opportunity to build your magic shop business! Retailers who say, “I don’t use the internet”, or “I don’t know the first thing about the internet” cannot hope to compete in today's market. The internet is a tool and can be used to attract customers to your business. Back before the Internet, shops relied on walk in business. Get a good street location with high traffic and great visibility. This gave you a pretty good chance for getting business. 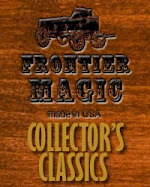 Join the local magic club and offer the members a discount for supporting your shop also increased business and still does. That was then, this is now. With the advent of e-sales, online shopping, Facebook, Twitter and all the other new advances in the internet such as iphone, ipads, itouch and social connectivity technology magic shop owners need to be internet savvy. Magic shops must have a website. This should be a given. You may ask why, you might say, every magician in town knows where your shop is located and they all buy from you. Yeah, maybe. But, what about the new magician in town or someone visiting your town or that thirteen year-old kid that just discovered magic? These people will search the internet for the local magic shop. Will they find you? Oh, by the way, no one looks at the yellow pages any more, not really, they Google! So, how do you use the internet? You become an expert in Social Marketing. If you don’t know what Social Marketing is, you probably still wear leisure suits and think the Bee Gees are groovy. The internet and social marketing is the best thing ever, to happen to small businesses. Because of the internet, mom and pop shops can now sell worldwide or at least across the country. To get up to speed in the art of Social Market properly, you need the email address of every customer that enters your shop or visits your web site. You will need a Facebook account in the name of your shop and it wouldn’t hurt to have a Twitter account and a blog. As a magic shop owner, you spend hours perfecting your demo skills, so that when a customer walks into the shop and asks about the newest effect, you can present it flawlessly and thereby make a sale. You, as the owner of a magic shop, need to spend an equal amount of time learning how to market in the internet age as you do practicing your Elmsley count. Look for more on Social Marketing on future Blog posts.